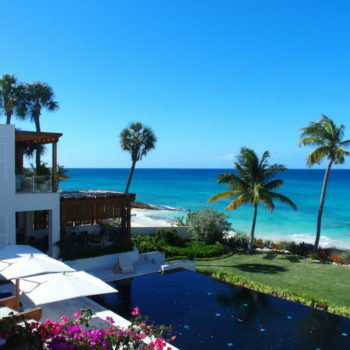 What if someone said your Turks and Caicos next door neighbor was voted to be the best in the world? What if that someone was TripAdvisor, and their 305 million monthly readers chose Grace Bay Beach as the number one-ranked beach on the planet? Knowing what you know about your neighbor, if you’re going to build a golf course in Providenciales, wouldn’t it make sense to get as close as you could to Amazing Grace, your island’s main drawing card? 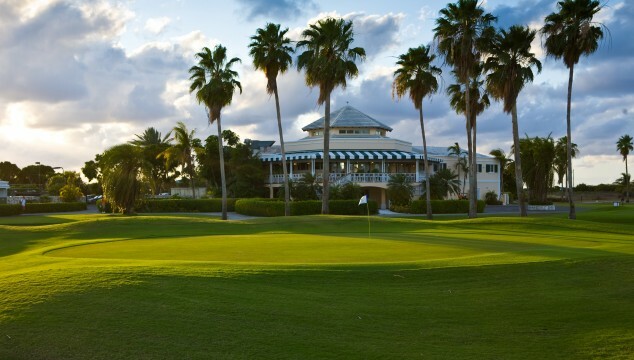 Back in 1992, Provo Golf Club became the Turks and Caicos Islands’ one and only golf course. 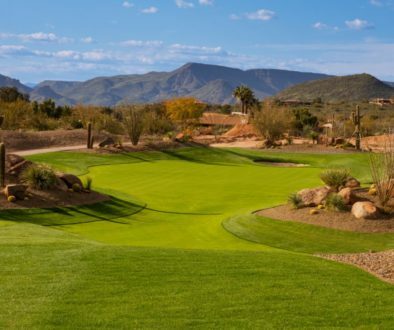 This 6,700-yard layout is a mere well-placed three wood from Grace Bay Beach. 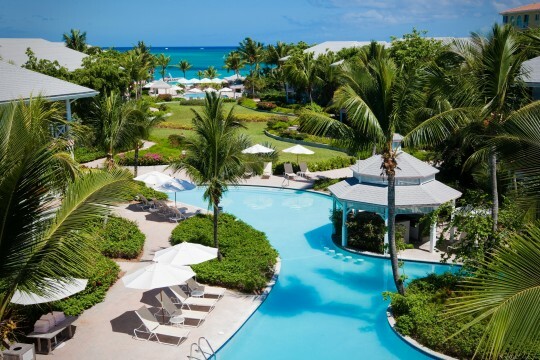 If you, and your significant other, love the idea of vacationing on an island with great golf and the mother of all beaches creating the best holiday ever, then Turks and Caicos will have you feeling like you’ve scored an ace on a Par 4. 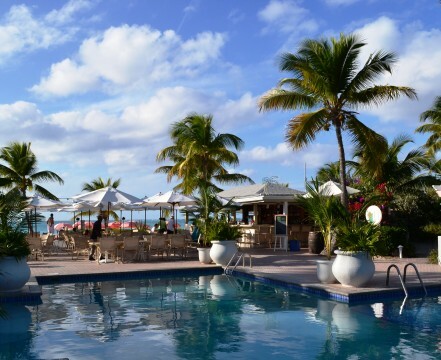 The 17-mile long island of Providenciales has come a long way since Provo Golf Club opened its doors. 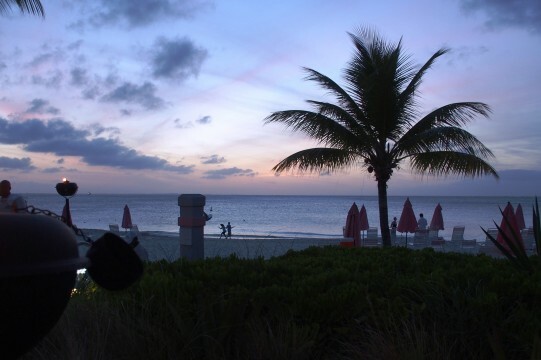 At the time there were only three hotels located on Grace Bay Beach. Today you’ll find two dozen oceanfront hotels dotting Grace Bay’s 12-mile blend of turquoise water and white sand beach. 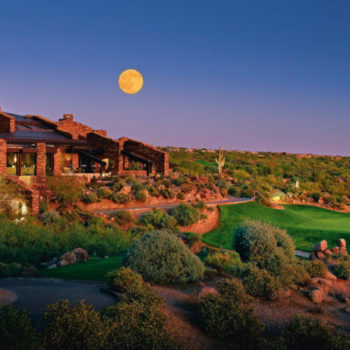 You’ll discover one resort that’s blessed to be Provo Golf Club’s closest neighbor. Before building Ocean Club Resort in the early 90s, developers had literally the entire expanse of Grace Bay Beach to choose from. The Ocean Club builders felt that the sunset view of their ultimate property choice was the best on the island. 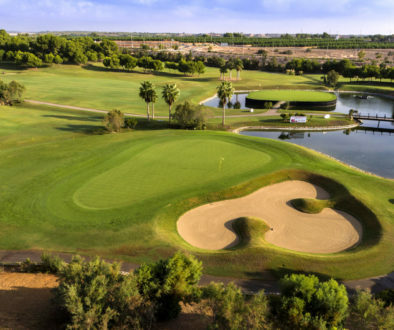 Around the same time Ocean Club was coming together, the golf course developers were also going through a selection process. Through sheer fate, Provo Golf Club chose the 200-acres located across the street from Ocean Club to build their palm-tree laden paradise. 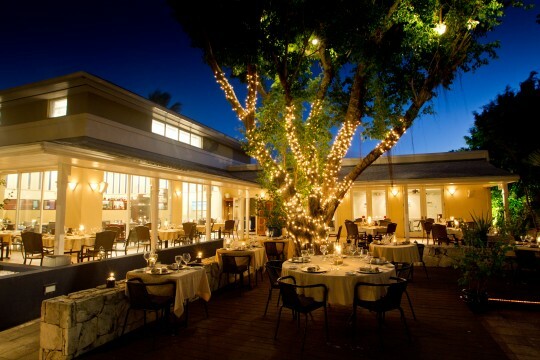 Walk 100 steps from Ocean Club’s entrance and you’ll witness Provo Golf Club’s awesome clubhouse. If you choose to vacation at Ocean Club Resort in Turks and Caicos, you’ll reap the dividends of these wise construction choices. 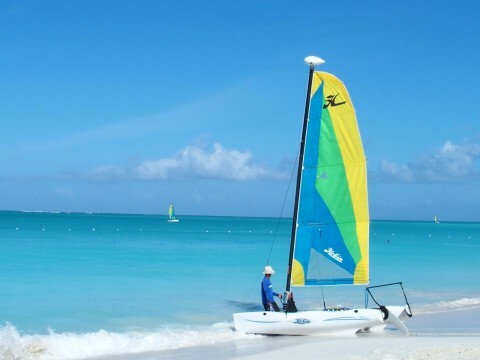 Your time on Grace Bay Beach is like that of a Caribbean explorer who happens to enjoy beach and golf. 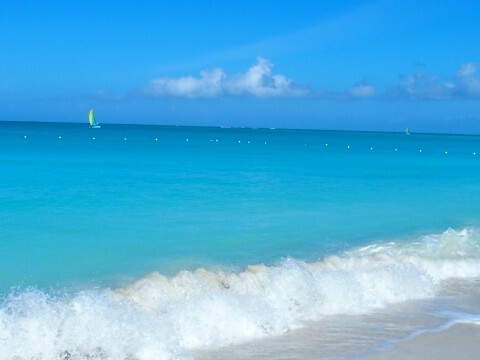 Look east and west, and you’ll witness incredible Grace Bay Beach, a turquoise seafront like no other in the world. 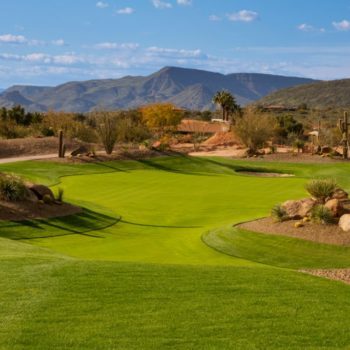 If you choose to face south, your inner compass leads you to Provo Golf Club, a golf course resplendent in palm trees, pink flamingos, and an ambiance that places a premium on enjoying the moment. 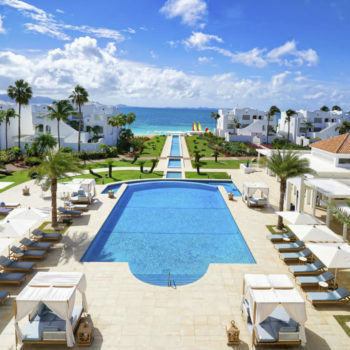 Here’s how your Ocean Club and Provo Golf experience could go in Providenciales, the Turks and Caicos Islands’ most inhabited island. Start out your day with a morning cup of coffee while gazing at the Caribbean Sea from your room balcony. If you prefer, saunter over to the al fresco Cabana Bar for a breakfast view that you’ll never forget. Your toughest decision after breakfast is, “What should I do in paradise?” Will my day include beachcombing, a snorkeling excursion, horseback riding, paddle-boarding, exploring the island via rental car, or playing golf? 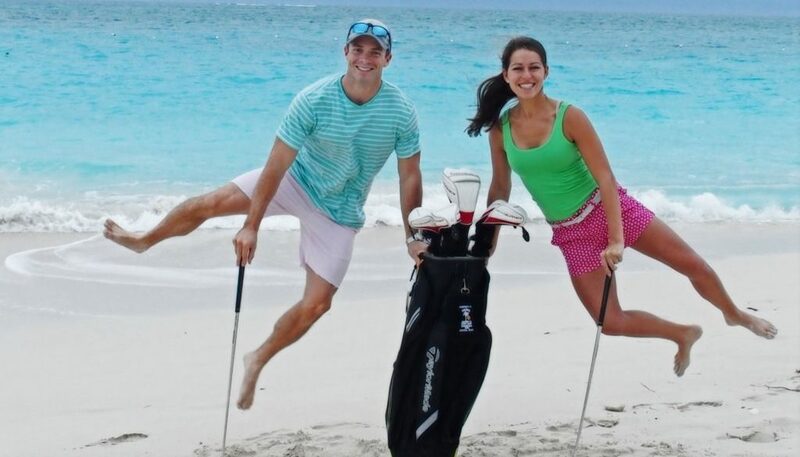 If Caribbean golf is why you chose Providenciales, you’ll love what you experience at Provo Golf Club. 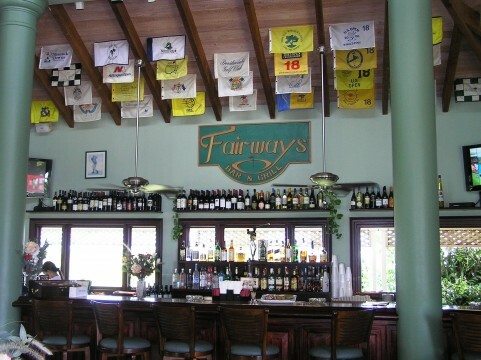 Before teeing off, peruse the dozens of golf flags greeting you from the Fairways Bar & Grill ceiling. At least a dozen countries and some of the most recognizable golf courses in the world are visible throughout the clubhouse interior. 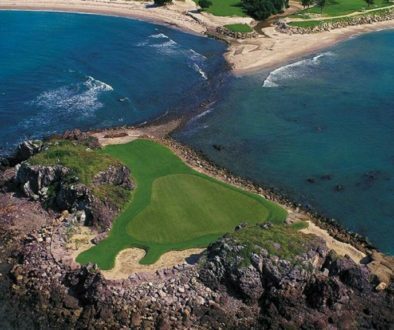 Once you’re done ogling the flags and a life-sized cutout of David Feherty, Provo’s golf ambassador, it’s time for a glorious day of island-style golf. After your round, the Provo Golf Club exterior deck is a great venue for watching golfers arrive at the 18th green. You can add to this experience by decompressing with a cocktail, and wondering if tomorrow’s itinerary could exceed today’s for sheer pleasure. As you head back to the resort, you may wish to treat your beach-loving companion to a special evening at Ocean Club’s Opus restaurant. 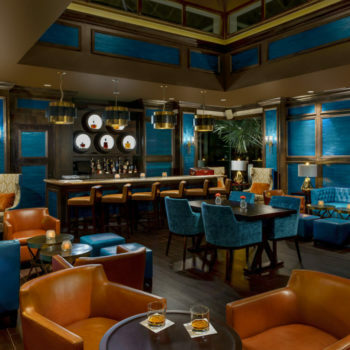 Not only does Opus feature a selection of over 50 rums, as well as the finest wine cellar on the island, the menu showcases a delectable array of seafood including snapper, grouper, lobster, mahi, tuna, and conch. As you turn in for the night to your suite, the sounds of ocean waves can be heard in the distance. Like a child rejoicing on the last day of school, you look forward to what tomorrow brings. 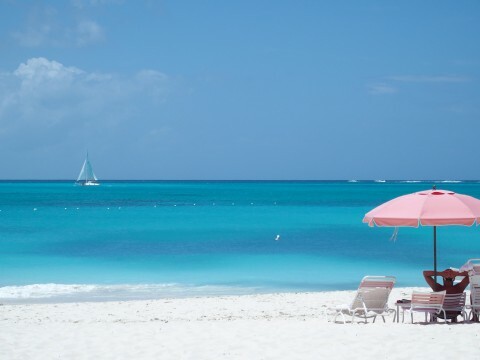 When you’re staying at the Turks and Caicos resort that is the closest to Grace Bay Beach and Provo Golf Club, it’s reassuring to know that anywhere you turn is where you’d like to be.